Blended malt named after a lost distillery near Milngavie, which closed in 1914. Named after the lost farm-based distillery near Milngavie, which closed in 1914, Tambowie is a Highland blended malt produced by the Vintage Malt Whisky Co. Ltd, also based at Milngavie. Currently unavailable pending redesign and relaunch, Tambowie was bottled with no age statement as well as at eight, 10 and 12 years of age. Past expressions of the blended malt are said to have been malty, fruity and spicy. Tambowie was the first whisky produced by the Vintage Malt Whisky Co. Ltd in 1992 after the company was created by ex-Morrison Bowmore Distillers director, Brian Crook. 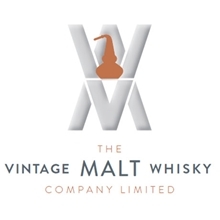 The brand is named after a long-gone distillery outside Milngavie on the north side of Glasgow, which was destroyed by fire in 1914 and eventually demolished. An anonymous single malt whisky designed to embody the spirit of Islay. Blended malt from Vintage Malt Whisky Co that’s named after part of Perthshire. Highland single malt whisky named after Scotland’s last great medieval castle. Glasgow-based owner of The Ileach, Black Cuillin and Pibroch single malts.